Enhance your bridal ensemble with sparkling luxury. 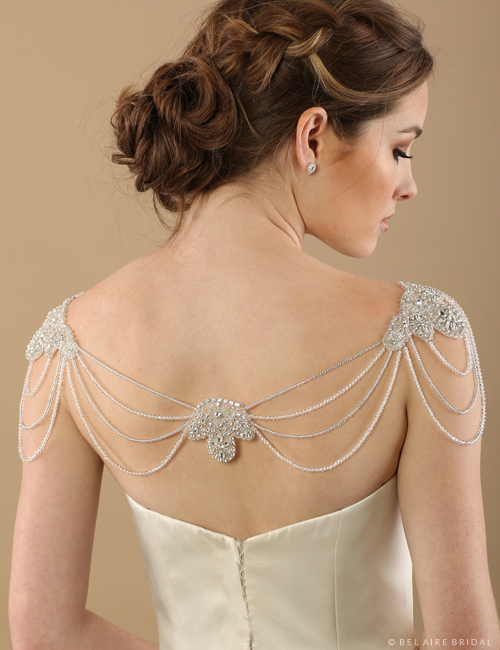 Shimmering crystals and shining silver bead strands gracefully drape between front, shoulder, and back appliqués. Glittering rhinestones in beautiful floral patterns with intricately stitched beads embellish each appliqué with eye-catching luminescence. This glamorous style best complements strapless gowns.